Have I mentioned that I’m a huuuuge Nigella Lawson fan? Yes? Lots of times? Oh, ok. Nevermind me, then. Well somebody recently downloaded all her TV shows made so far and put them on the harddrive for me to watch. And of course, I’ve managed to watch everything in a matter of weeks (if there hadn’t been work and other obligations like going to the toilet and washing oneself every once in a while, it would have been a matter of days–but you know, common decency and all that jazz obliges). I may just have to re-watch the whole thing again because there is just so much to take in. 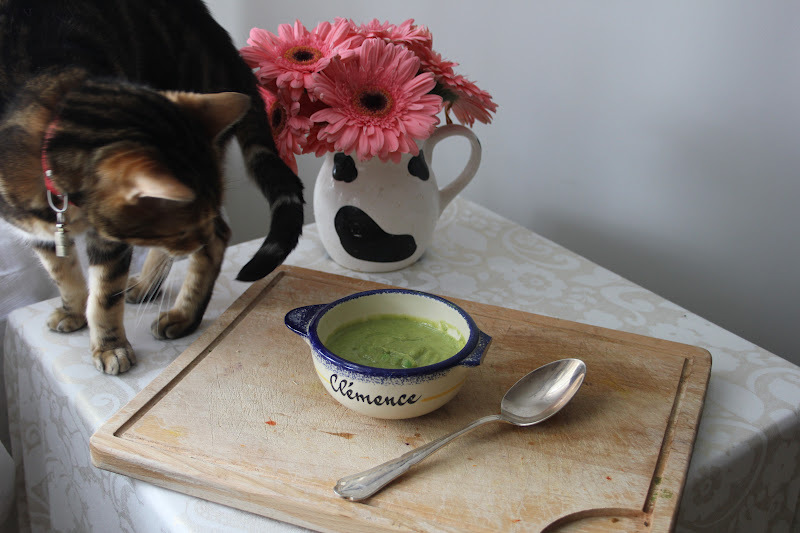 But one recipe that stood out to me was her pea & pesto soup, which I was instantly determined to recreate, vegan-style. 1. If you need to make the pesto yourself, do this first in the food processor. I never measure any of the ingredients for my pesto, just because that’s how I like to make it; I just roughly know the proportions. Blitz all the ingredients for the pesto in the food processor until you get a nice sauce-like consistency. 2. In a pot over the stove heat the peas, shallot and vegetable stock in a little bit of water just long enough for the cube of vegetable stock to disappear (about 5 minutes). 3. 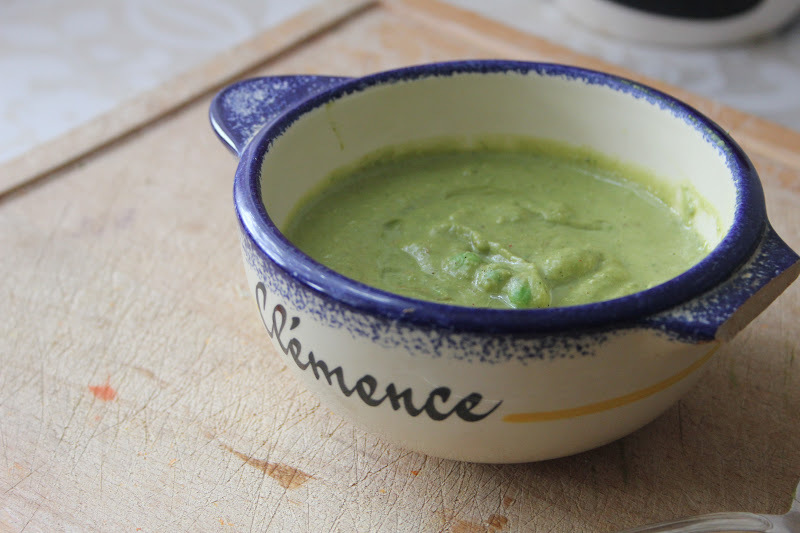 Put all the ingredients for both the pea soup and the pesto in the blender (or just add the peas to the food processor to save yourself some washing up) but reserve a couple of tbsps of peas. Blend till almost smooth. 4. 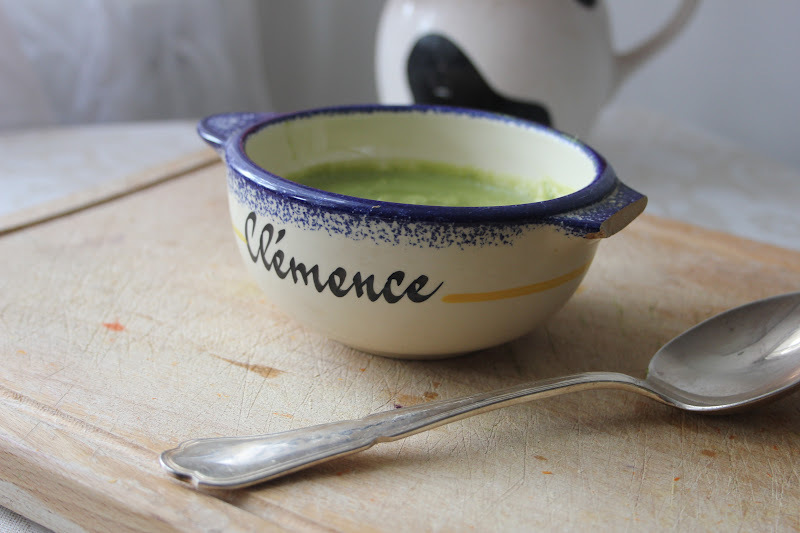 Sprinkle the leftover peas over the soup when you serve it. 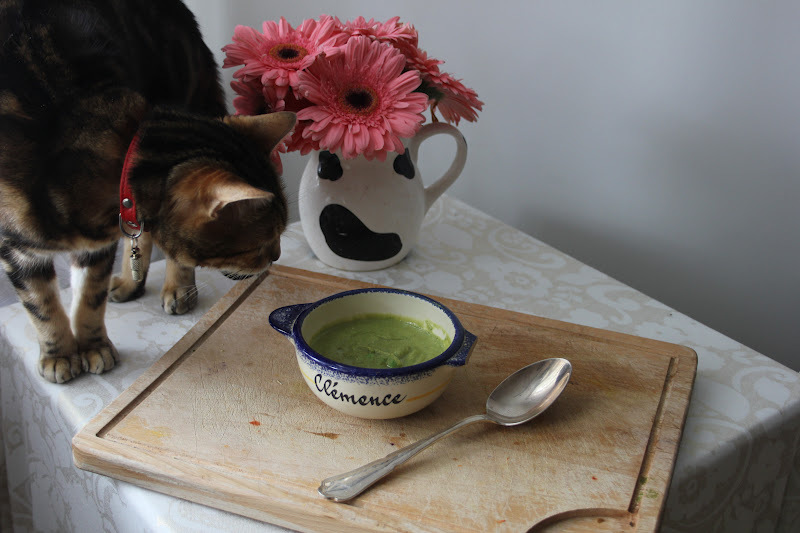 Mmm delicious and nice cat !!! haha my cat always does the same thing! 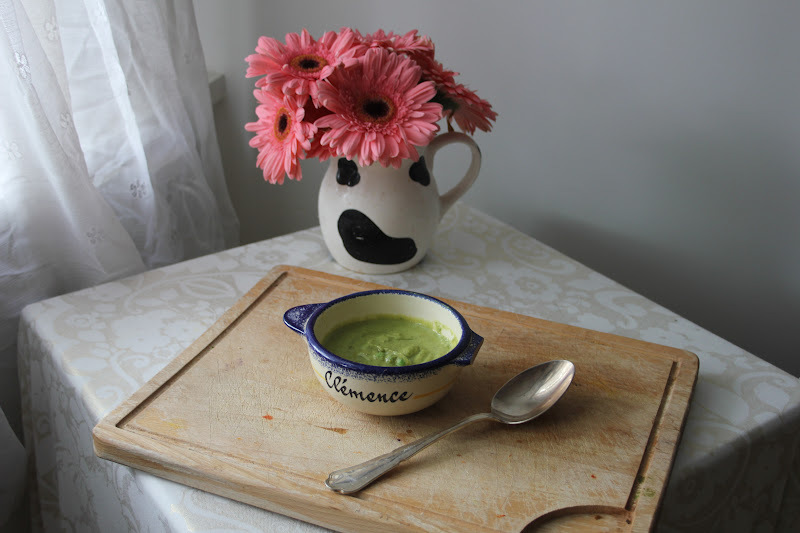 I never had a pea and pesto soup before…sounds delicious! !